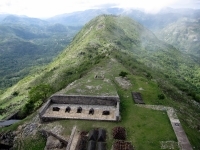 Although Haiti is bogged down by a history of violence and natural disaster, it is still a beautiful country with a tropical climate, white beaches, lush jungle vegetation, and an interesting history; thousands of cruise passengers enjoy the safe tourist haven of Labadee, and for those brave enough to venture beyond this affluent enclave there are a few wonderful attractions in Haiti. Labadee definitely tops the list of what to see and do in Haiti but the picturesque resort has come under some fire recently for exploiting the country's natural assets and tourism potential with little benefit to the local community beyond its high fences. For many, however, this little piece of Haitian heaven is a safe and lovely stop-off point and a chance to enjoy the colourful craft markets in the village of Labadee. Many governments still advise against touristic travel to Port-au-Prince (especially the slum areas of the city) because the capital is unfortunately the epicentre of crime and violence in the country. Fairly close to the sprawling Port-au-Prince is the far smaller port city of Jacmel, a historic and charming place to visit. 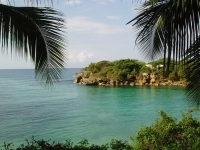 In Jacmel tourists will find a community struggling to recover from the 2010 earthquake, but also captivating 19th-century architecture, white beaches, and a proud cultural scene which celebrates local music and art. The glorious turquoise pools and waterfalls at Bassin Bleu, close to Jacmel, delight visitors, and the imposing, UNESCO-certified Citadelle Laferrière is an amazing excursion. Haiti is not an easy country to get around and the infrastructure is poor but there are rewards awaiting the intrepid. We are looking for contributors for our Haiti travel guide. If you are a local, a regular traveller to Haiti or a travel professional with time to contribute and answer occasional forum questions, please contact us.